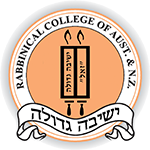 Videos - Rabbinical College of Australia and N.Z. This video celebrates forty years of excellence at the Rabbinical College. The students of the Rabbinical College involved in many facets of the Lag B'Omer community events. Watch these humorous and engaging Chanukah plays produced by the students of the Rabbinical College at the annual Chanukah in the Park event. The Rabbinical College annual community Kinus Torah included ten lectures delivered by community rabbis and the college's students. CGI Melbourne is a fortnight-long summer camp organized by Chabad Youth and staffed by the Shluchim and students of the Rabbinical College who warmly care for each individual child, ensuring a rich and wholesome experience replete with fun, friendship and meaningful educational experiences. The students at our College invest countless volunteer hours and lots of effort in a wide array of community outreach programs and initiatives.